48stateroadtrip.com » Buckhorn Burger in San Antonio (New Mexico): #7! 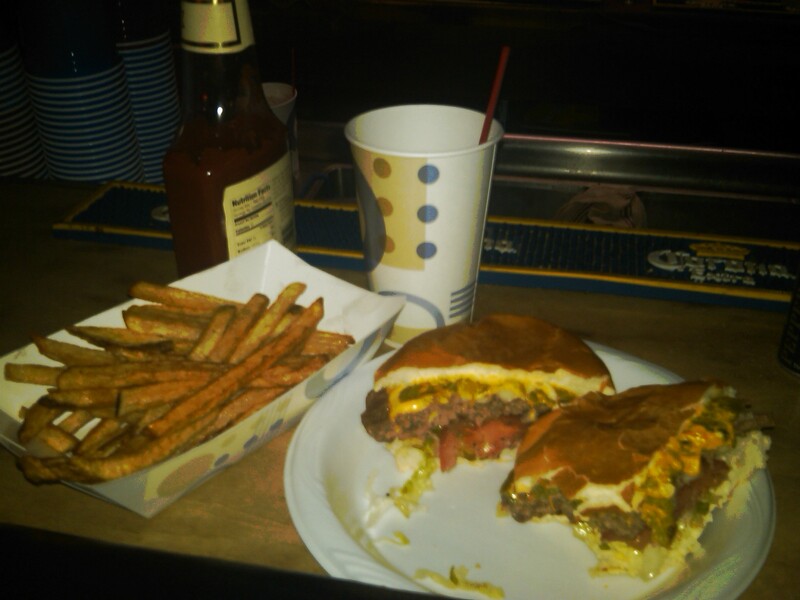 Home > southwest	> Buckhorn Burger in San Antonio (New Mexico): #7! Well, obviously the place was packed on a Monday in the middle of nowhere because they have amazing burgers. I have eaten at the Buckhorn every time I visit New Mexico, and my family has for generations. You sir, are a pessimist and don’t know what you’re talking about. You should be grateful you even got a burger from there because they sell out of ground beef almost every night. If they run out of ground beef almost every night, that seems more an indication of incompetent management than anything. Incompetent management would also help explain the awful service and why it takes 45 minutes to fill orders. The burger was good, but not good enough to compensate for negligent indifference toward customers.